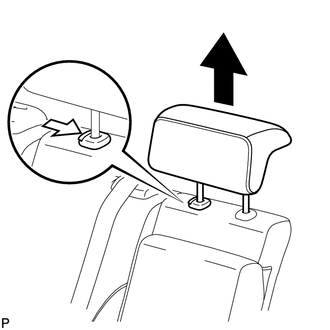 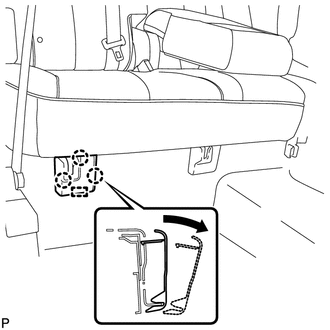 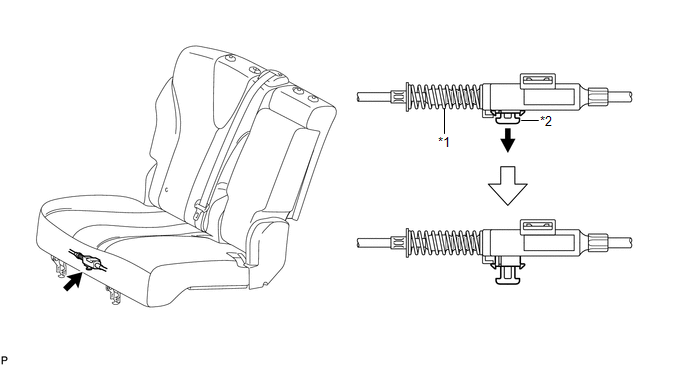 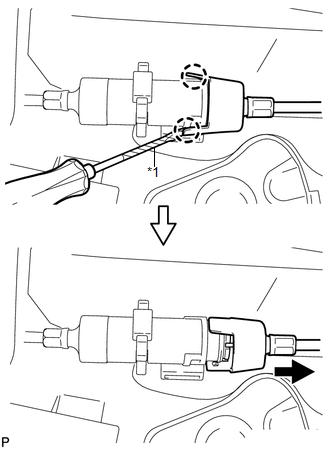 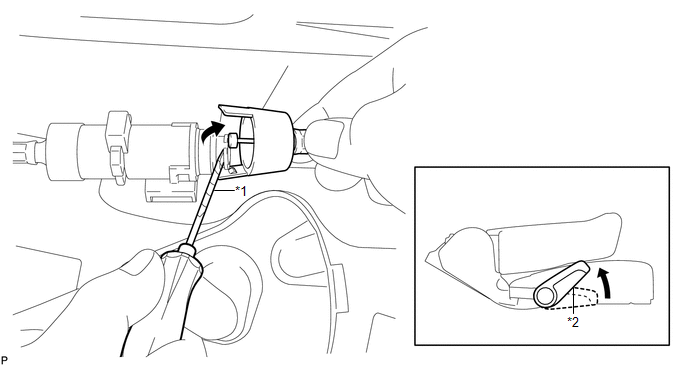 (a) Press the headrest support button and pull up the rear seat headrest assembly as shown in the illustration. 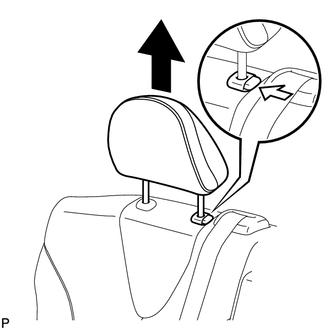 (a) Press the headrest support button and pull up the rear seat center headrest assembly as shown in the illustration. 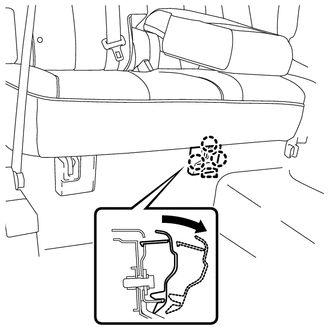 (a) Remove the 3 bolts on the rear side of the seat. 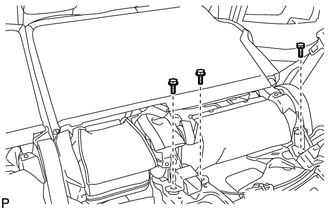 (b) Remove the 2 bolts on the front side of the rear seat assembly RH. 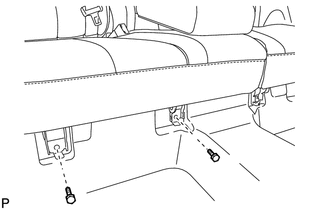 (c) Remove the rear seat assembly RH.